Should you invest money into repairing your lawn mower or should you invest in a brand new lawn mower? Many people are faced with this dilemma every year and sometimes it is difficult to know just how much you should spend or when you should just send the old one to the dump. I was recently faced with this problem and fortunately for me, there were lots of sales on at the time and I was able to get a really good deal on a self propelled lawn mower for just under $200. Repairs to my 32 year old lawn mower were going to cost me around $100, so there was no decision really. I may have been able to fix it myself, but frankly after 32 years, I figured it was time to get a new self propelled model so it was more of “I want” kind of decision than an economic one. For years I had self repaired my lawn mower. I changed the oil every year, replaced the spark plug every couple of years and sharpened the blade myself as well. These were all basic maintenance things that I could do myself and kept my lawn mower running smoothly for many years. Unfortunately the body began to rust out and there was really nothing I could do for it. In fact it was becoming dangerous to operate, so it was time to replace it. As I mentioned I was able to get a great deal on a new on at Lowes. Not everyone can do the repairs that I did. Many do not want to be bothered with these sorts of things either. Some of my neighbors never even change the oil in their lawn mowers. They just keep going on the same old engine oil until the engine just seizes up from really bad oil after a couple of years. By the time you take your lawn mower into a small engine shop, pay for the tune up and oil change and pick it up again, you have invested time and money in a machine that is not really worth that much. You can purchase a new lawnmower for under $200. It begins to get close to a replacement option that is more reasonable than doing repairs. For folks with jobs or people with lots of money, they probably cannot be bothered with changing oil or repairing their old lawn mowers. Just buy a new one. But what if you are living on a fixed income. Or are unemployed and you need to stretch every dollar as far as possible? Doing your own repairs becomes almost necessary! If you do it yourself, it can be pretty reasonable vs. paying a small engine mechanic to do repairs and change oil. If they charge $20 and hour, and it takes an hour to do the work then you can save yourself $20. You still have to pay for oil and any parts you need. But you are saving yourself money. Maintaining the engine and body in excellent working order will also ensure that your lawn mower lasts for many years. This is my rule of thumb. When it comes to the decision process re fix an old lawn mower vs. purchase a new one. If the repairs are 50% of the cost of a new lawn mower, I would be tempted to just go for the new lawn mower. Chances are that once these repairs are completed and paid for, there may be more more repairs a year from now. Purchase a new one now. For me 50% is the rule of thumb I use. However for some of our readers your decision point may be higher or lower. It depends on your personal situation and criteria. By the way I am very happy with my new self propelled lawn mower. This is the first time I have had one. Although I really did not need the self propulsion system, it is a breeze to cut the lawn. In addition this particular lawn mower is 2 inches wider. It is surprising the amount of time it saves me in time when I am cutting the lawn. The old lawn mower was placed along the curb the night before garbage day. Someone came along and picked it up. Hopefully they will repair it and someone will be able to continue using it. 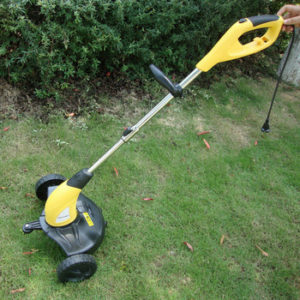 We have written a number of posts about selecting a new lawn mower. Find the features that are right for you. Take a look at these posts to help you with your decision to purchase a new lawn mower if you decide to go in that direction. Summer is just around the corner and it is time to begin thinking about selecting a lawn mower that you need to keep your yard and grass looking great. We have put together a few ideas and tips to help you make the decision regarding which lawn mower will best fit your needs. There are many different manufacturers, sizes, types and features that can be considered. Take a look at some of our thoughts about how to select a lawn mower. Regardless of when you are planning to buy, whether it is now in the spring or later in the summer time, we thought that these tips for selecting a new lawn mower would help you when it comes time to making your selection. Also refer to our previous post , find the best lawn mower for your money, to help make your decision. Here are a few ideas about making your selection. Many lawn mowers come with all 3 options, however some do not so it is important to decide which cutting option you need for your lawn. Mulching is by the far the best since you do not need to bag or rake the grass cuttings and the grass cuttings will disintegrate and re-fertilize your lawn as they are absorbed back into your lawn. If you have long grass, mulching typically does not work very well, so you will need to either bag your grass clippings with an attached grass catcher or rake the lawn afterwords, neither is fun to do especially the raking part. The wider the lawn mower, the more quickly you will finish cutting the lawn. 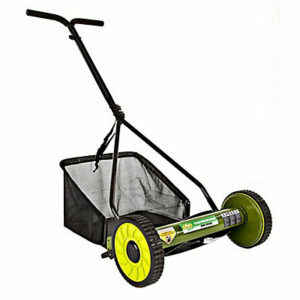 A wide lawn mower can save a lot of time, however many people forget the fact that they need to store their lawn mower somewhere and if your garage is small, you need to take this into account. Electric machines work well on small lawns and you do not need a long extension cord to mow these lawns. Rechargeable lawn mowers are now available, however you want to make sure that you can cut the entire lawn on one battery charge! Most people will find that they are better off with a gas powered machine on large lawns, simply for the flexibility and no need to make sure that the battery is charged or trail a long cord along after you. Electric vs. Gas; mulching, grass catching and/or spreading grass clippings on the lawn, size of lawn mower, reliability, reviews from other customers and of course price are the important basic elements that you should be considering. Make your decisions about these and then give some thought about other features that you may be interested in. Features such as auto choke, propulsion systems, folding handles and other features too numerous to mention depending on the manufacturer and the size and price of the machine you are considering. If you have a large lawn, you may want to consider a riding lawn mower. Or at the very least a self propelled lawn mower. I recently purchased on, not because I needed a self propelled lawn mower, but because the price was so good. Anyway it is front wheel drive and very easy to steer and makes grass cutting a pleasure. All you need to do is walk behind it and steer. No need to push it up hills or in difficult areas. You let the machine pull you along at its own speed. This is something to consider if you need help with your lawn or do not want to push your lawn mower around a large lawn area. Spend a few minutes thinking about which features are the most important for your personal situation. Then look for the best deal across several venders. Hopefully these tips will help readers make decisions about which lawn mower to purchase, whether you are taking advantage of the sales in the spring or picking one up in the fall before the winter season begins. For more thoughts and ideas about buying a lawn mower, click here. There are lots of features to choose from when it comes to buying a lawn mower. They are an expensive purchase so you will want to select the best lawn mower for your money. We decided to write this post to help you make your decision and provide some thoughts to help you chose the right machine for your needs and for your money. Find the best lawn mower for your money. The first step is to figure out what features are must haves and those that are nice to have. The second step is to establish what the regular price is for a lawn mower with these features and then watch for sale prices before you make a purchase. Finding the best lawn mower for your money is more than the cost. You want to find the right lawn mower that meets your needs, with a good reputation for reliability and service at the best price you can find. Part of this decision is to make sure you make the right choices for features that will meet your needs now and in the years to come. Many people are pretty focused on electric machines, either the rechargeable battery type or those that trail a long cord and plug into the outside wall outlet. They want to protect the environment and there is certainly nothing wrong with that. There is certainly less pollution in your area and you do not need to worry about storing gasoline and oils which is obviously better for the environment in your area for sure. However if your electricity is generated by a local coal plant or oil-fired plant then you may not be really not improving the environment too much. Something to consider. The other major issue is to make sure that the rechargeable battery on your lawn mower is sufficient to cut all of your lawn, otherwise you have to recharge before you can complete cutting your lawn or purchase another battery. If you have the chord type, you also need to ensure that the chord will be long enough for your particular yard. Depending on your assessment, you may choose a gas-powered lawn mower. You will definitely enjoy a self propelled lawn mower however it can be a bit if overkill if you have a small flat lawn. You will pay more money for one of these machines than a standard push lawn mower. It really comes down to the size of the lawn that is being cut and whether it is flat or not vs. how much work you want to do vs. your pocket book. It is a really great feature and more and more lawn mowers are being made available with this feature. Wider , larger lawn mowers will save you time when it comes to cutting the lawn. It is as simple as that, however they also cost more. If you have a small postage stamp size lawn, don’t waste your money on a large lawn mower. If it takes you 3 hours to cut the lawn every weekend, you will really appreciate the larger wider cut and the time it saves. Also it is time vs. how much money you want to spend. I like to store my lawn mower in doors which in my case means my garage. I can get it in with two cars and a snow blower so I am ok. However I also have an average size lawn mower. Any larger and I would have a problem finding a place to store it when I am not using it. Decide were you plan to store yours and measure the space to make sure your space is large enough to handle the lawn mower you intend to purchase. Once you have made a decision on these basic features, it is time to watch for sales. The best time to find the best sales is near the end of the season, however you may be somewhat limited in the choice of lawn mowers available to you. Dealers do not want to carry inventory into the winter so they would rather sell it at a lower price instead of keeping these units for another 8 to 9 months. At some locations you might even be able to negotiate with them to get a better deal. Don’t hold back on your quest for the best deal. Remember that the worst thing that can happen when you ask for a better price is that they say no, that is the best price. However if they knock another 10% off the cost of the lawn mower you want to purchase, you are way ahead as a result. I always like the money in my pocket vs. someone elses! For more about what to look for when buying a lawn mower, click here. Late summer is one of the best times of the year to purchase a lawn mower from any of the major stores such as Home Depot, Lowes, Canadian Tire, Sears and many more. There is not a single store owner who wants to get stuck carrying old inventory over to another season. If they have not sold all of their product by now, they are ready to place major sales on lawn mowers and in fact all lawn products. If you have been holding off, now is the time to make a purchase! Watch for sales in the newspaper, flyers that come around to your door. Also just go into the store and talk with a sales person to learn when sales will be starting. My 32 year old Craftsman lawn mower just quit. Now I really like to fix things. However this time it was beyond what I could do myself. So I had to bite the bullet as they say and purchase a new lawn mower. Before I talk about my new lawn mower and the great deal I got, I just want to mention that my old one was in great shape. The housing was solid as were the wheels. I think the engine was as well. However it really needed a tune up and that meant taking it to a mechanic. It might have cost me $50 to get it fixed. But would you spend $50 on a lawn mower that is 32 years old. It did not owe me a thing. I was very happy with it while it worked, but it was time to change. On top of all of that, I only had to pay $216 for a 22 inch Yardman lawn mower. It also has 2-n-1 features, self propelled 139 cc mulching lawn mower. That was more than $80 off the price they were charging a week earlier. The prices are coming down! Now I might have done a bit better had I waited until the end of August. However the selection might be more limited. I might not have been able to find a lawn mower at all. So now is the time to buy when the sales are on. As a result there is still some selection to choose from! The Yardman model we purchased is a 2-N-1 self propelled mower with a Powermore OHV engine, front wheel drive ( which by the way is much easier to maneuver than a rear wheel drive, in the writer’s opinion), with either side discharge or mulching configuration. It does not have a grass catcher, but that is ok, because I am more than happy to not have to fill grass bags and put them out to the garbage every week! There is a choke on this engine so you do not have to prime it to start it, but you do have to set the choke when the engine is cool. The wheels are all the same being 8 inch diameter. The wheels can also be adjusted to select one of 6 positions in height. It comes with a 2 year limited warranty and because I used my credit card, I will get another year added on. I was offered a one year extension of the warranty for a small fee, however I get free extensions on my credit card so did not take this insurance. I am really looking forward to trying out this lawn mower and will provide an update on how I like or dislike the machine in my next post. If anyone has one of these machines, I would appreciate your comments, positive or negative. So far I am really satisfied with this lawn mower. I have discovered that it is not as well built as my craftsman lawn mower and will probably not last as long as it did, however for the price I paid for the lawn mower it is ok. I am really happy about not having to bag the grass any longer and since I take good care of my lawn mowers, chances are it will last a long time. Leave a comment on our blog and I will be happy to approve the comment. Note that spam comments will be erased. 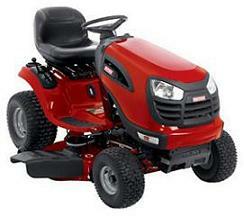 For more information about buying a lawn mower, click here. My lawn mower recently broke down and I guess I will have to fix it. It is an old model, in fact it is over 30 years old but still worked fine up until today. Anyway I borrowed by neighbors new lawn mower which just happens to be a self propelled model. This is the first time I have used a self propelled lawn mower. I thought I would write about it. Turns out that I really liked using his lawn mower. Now I want one of my own that is self propelled. It is not always a good idea to borrow other peoples tools. If you break them you have to replace them with a brand new model. Even if they lend you something that is close to the end of it’s life. This was not my situation, I just do not like to borrow other peoples tools. Anyway his lawn mower was a self propelled mower and I found that I quite liked it. There are rear self propelled models and front propelled models. This was a front self propelled model so I really cannot compare to these other models. There are two levers on the handle. 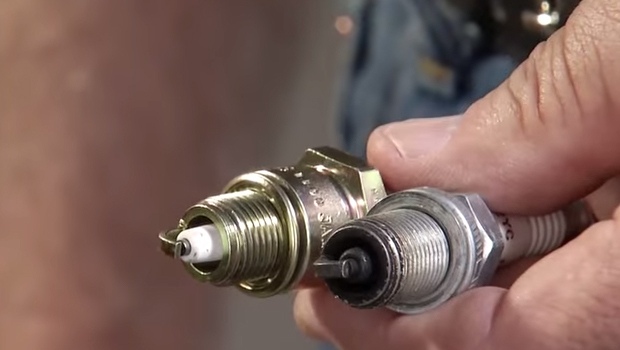 One is the normal safety lever which causes the engine to stop if you let it go. The other lever engages the power wheels to drive the lawn mower. I found that you could really not push the lawn mower easily. Sometimes you want to go slowly especially if the grass is thick. Or if you are navigating around a plant for example. You can push the lawn mower, it is just a little more difficult than a normal non self propelled lawn mower. I guess the wheels or the transmission provides some resistance. Along a straight cut, using the self propelled feature is easy and very helpful. Basically all you need to do is steer the lawn mower and it moves along at a reasonable speed for walking. If you need to go more slowly or want to turn, just lean on the handle to raise the front wheels slightly and your forward momentum decreases or stops altogether. The wheels continue to turn, however they are not touching the ground and will not pull the mower forward as long as they are raised. I was also cutting the grass when it was wet from a heavy morning dew. I know I really should not have been cutting it at this time. Most people wait until the grass has dried. However we had a party later in the day. I really needed to have the lawn cut and looking good. This lawn mower really got a work out with the wet grass and also my lawn had not been cut in a while. I had to make frequent stops to clear the grass chute. Wet grass does not blow very far and so it would stop at the entrance to the bag. As a result I could only go about 50 feet before the grass would plug the entrance to the bag and I would have to stop and clear the bag. Aside from the issues I have mentioned, I was very satisfied with my neighbors lawn mower and would probably purchase a self propelled lawn mower if I cannot fix my own. With a large lawn and being able to just follow along, steering the lawn mower, you really cannot get any better than that unless you are sitting on a riding lawn mower. My own lawn mower is not running well due to what I think is old gas that has clogged my gas tank and / or my carburetor on the lawn mower. I really cannot complain since I have not tuned this thing up for over 20 years. Nor have I replaced the spark plug, nor have I cleaned the carburetor. I guess it is about time I did these things and will have to fix it within the next week or buy a new one. I will keep you posted on my attempts to fix my lawn mower and if you have any comments about self propelled lawn mowers or fixing lawn mowers feel free to leave comments on my blog. For more information about buying a new lawn mower, click here.